Intandem presents the Energised Leader Workshop Series in collaboration with Global Compact Network Switzerland. The series will tour the Swiss cities of Geneva, Zurich and Lugano from March – July 2019 with inspirational speakers from some of Europe’s most forward-thinking organisations. Our workshops will address the ever changing, volatile and complex environment that all organisations and their Leaders are facing. From being a “Future Fit” organisation, to inventive collaborative skills now required to succeed, to the health and resilience of the Leaders and their teams, and finally to the added zest of inspiration that can make everyone’s whole lives (you, your team, your organisation, and cross organisational collaboration) more energised. How much a Leader knows, paces, develops, and nurtures themselves is the extra-special skill set that is too often neglected in the pressurised world of today. Intandem’s Energised Leader Workshops directly address this mindset, and how to spread these skills to those around you whilst also benefitting humanity and the planet through the UN Sustainable Development Goals. We are offering a series of five workshops available in three cities and four languages. Design your own menu and select your course of preference in the location that suits you, or book all five for a special discount. ENABLING YOU AND YOUR ORGANISATION TO BE FUTURE-FIT! Today’s leaders are facing an unprecedented level and pace of change. Many of the business challenges we face now are inherently different in their systemic nature from those faced before. As hot-off-the-press leadership research indicates, our traditional methods of organizational learning and leadership development are inadequate for the business environment we now live in. Our business context now demands a new way of learning, adapting, innovating, collaborating and evolving as leaders and organizations. • How is this reshaping the workplace of the future? • What does it take for our organizations to not only survive, but thrive in the volatile times ahead? • How can our organizations become vibrant, agile, sustainable, living-systems? • What does this mean for YOU in redefining the future? Leadership and organisational development specialist Giles Hutchins will run this exclusive executive teaching session. The workshop looks to unpack what is required by organisations of the future, so we can invigorate and shape organisations of today to become future-fit. 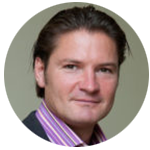 Giles Hutchins is a pioneering practitioner and senior adviser at the fore-front of a [r]evolution in organisational and leadership consciousness and developmental approaches that enhance personal, organisational and systemic agility and vitality. He is author of several books and research papers, and over the last 25 years has been an international Management Consultant with KPMG, and Global Sustainability Director for the multinational technology provider Atos. He has advised organisations across the world across all sectors, has been interviewed by the BBC, writes for various global networks and advises a number of forward-thinking academies. He contributes to international business school research, runs deep-dive transformation Learning Journeys, is Chair of The Future Fit Leadership Academy is co-founder of Regenerators , co-founder of Biomimicry for Creative Innovation and an executive coach to senior leaders. For the ultimate experience, workshops are limited to a maximum of 15 people. Please consider the dynamic of your organisation, across the different dimensions of Culture, Management, Employees, Leadership, Stakeholders – what adjectives would you use to describe your organisation, its culture, its vibrancy? You will view your business in an entirely different way and you will go away with strategies to enable your organisation to be Future-Fit. *This workshop will be highly engaging and thought provoking, lasting between three-quarters and a full day with lunch included. Simultaneous translations are possible subject to demand. Intandem reserves the right to cancel the public training at latest 8 weeks before its beginning if the minimum number of participants has not been reached. Book 2 – 3 workshops for the discounted price of CHF 800 per person, per course. Navigating the complex challenges of an ever-changing society requires more than just passion, intuition, or excellent planning. Solutions cannot be found in isolated silos, but through the effective engagement of teams and communities. We need to therefore shift the way we co-create. Collaboration is not only paramount, it is the only way to success. 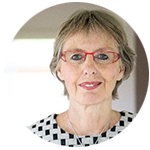 Strategic adviser Petra Kuenkel of The Collective Leadership Institute brings us a powerful and engaging workshop looking to change the way you view organisational purpose, collaboration and transformation. Petra is part of an international think tank on large system’s change and co-founder of the Partnering Alliance, an initiative aiming at improving the quality of partnering for sustainability. A leading visionary thinker, she is a Member of the Executive Committee of the Club of Rome, Founder and Executive Director of the Collective Leadership Institute and is a leading strategic advisor to ground-breaking international multi-stakeholder initiatives that tackle common goods and sustainability issues. She fosters mindset change among decision-makers and is a pioneering academic on re-inventing leadership as a collective competence, promoting leadership and collaboration skills for people from the private sector, public sector, and civil society. You will view your business in an entirely different way and you will go away with strategies to enable your organisation to flourish. Leadership Organisational Learning is a Swiss company with headquarters in Lugano. Their scope is to support people and organisations to release their qualities through the connection to their true self in order to co-create their life in a context of awareness. L.O.L operates primarily in Europe, in Georgia – and in the USA, with its associated company Learning as Leadership – using a proprietary methodology. L.O.L’s Personal Mastery methodology was initially developed in 1982 by Claire Nuer and Sami Cohen with the involvement of coaches, facilitators and other pioneers in this field. All L.O.L team members are committed in their personal and professional lives to practising the Personal Mastery methodology in order to support individual and organisations to achieve their objectives. L.O.L Founder, CEO, Senior Coach and Facilitator Roberto De Bacco graduated in engineering at the Lausanne Federal Polytechnic. He gained experience in various roles: research/media technology development in leading companies in Italy and the USA, technological design, the America’s Cup challenge, and the Moro di Venezia challenge. As an entrepreneur, he created a company in the multimedia communications industry and later dedicated himself to change management and leadership development. After an impactful experience with Claire Nuer’s methodology linking with evidences in personal and professional life, in 2003 he founded Leadership & Organisational Learning and since 2006 he is a Consultant Member of the Society for Organisational Learning. He believes that behind “ego-qualities” exists a new paradigm to express those qualities where we, as human (delete s) beings, can take responsibility in order to create the context and the results we want. Better life leads to better performance. Over the last 20 years, Hinsta Performance has delivered their science-based methods of reaching high performance in some of the most challenging environments of business and sports. Clients, from Formula 1 World Champions and Fortune 500 CEOs, trust Hintsa to help them succeed in their fields. Performing at full potential is increasingly difficult in a hyper-connected and fast-paced world. Hinsa’s mission is to guide individuals, teams and organisations to enjoy a better life and consequently better performance. 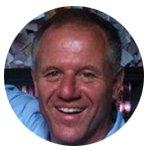 Lee Eldridge is an accredited strength and conditioning coach from the UK Strength and Conditioning Association. 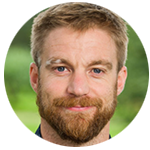 He has both a BSc and MSc in Sport and Exercise Science and has completed a postgraduate certificate in strength and conditioning. He has worked with individual and team athletes, including world-ranked tennis players, top golfers as well as Premierships Football and Rugby Clubs. Since joining Hintsa in 2016, he has coached motorsports athletes and worked on a number of corporate projects. He has a passion for applying sports science to knowledge performance. Complete the Hintsa Circle of better life pulse survey and be prepared to move. A better understanding of how you can reach and sustain peak performance and how leaders can develop a better life and performance for themselves and their teams. In the last 10 years, 85% of large organisations have embarked on a large, company wide, transformation and according to research by McKinsey, 79% of these transformations fail. When organisations embark on a transformation, they focus on changing structures and behaviours in the organisation – strategies, policies, and facilities – and sometimes also on the individual behaviours they expect to align with the new strategy. The process involves identifying the organisational challenges and solving them using ‘best practices’. We want to flip this approach on its head, take a look at the whole system. Finding key capacity gaps stemming from a certain predominant mindset that is not being addressed. • Introduce participants to the key principles of energy management. • Examine the costs and benefits of current ways of working. • Capture the key factors of success and key external obstacles people will face moving forward. • Explore tools that individuals and teams can utilise to act on, and grow their newfound awareness. 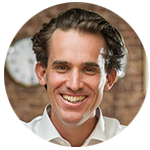 Omri Roden is the Co-founder and Managing Director of The Energy Project Netherlands, a consulting firm that helps individuals and organisations build capacity by managing their energy more skilfully and by challenging their fears, blind spots, and current beliefs. He has led cultural transformation projects of all sizes, building engagements and delivering programs for STMicroelectronics, Ahold, SBM Offshore, Zurich Insurance, TomTom, Booz Allen Hamilton, Blackstone, and Ernst & Young. Since relocating to Europe and until 2016, Omri was also a semi professional cyclist, racing in the Netherlands and Belgium. Born in Israel and educated at New York University Tandon School of Engineering, he currently lives in Amsterdam with his wife and two children. He is an active entrepreneur and is the co-founder of two additional businesses. A better understanding of energy and how leaders can develop a better life and performance for themselves and their teams around them. With the right personal mindset, a responsible and high-performing team, and collective action with all stakeholders involved, we can co-create a better world in tandem.